Port Dickson used to be etched in the mind of everyone in my generation. Kids these days only know Port Dickson as a backwater town with filthy beaches and mutated sea water creatures; but back in the 80s, it was a holiday haven for city folks looking to get out of town for a relaxing weekend at the beach. If Brisbane had her Gold Coast, then KL had her Port Dickson. I remember going there with my dad and brother, swimming or playing on the beach, having church retreats at Ming Court Hotel, or family holidays at the Si Rusa Inn. We would also have our dinners at that restaurant that was next to the beach, I forgot the name of it, which now has long since been abandoned. Ah, PD, good memories. However, in the 90s, cosy old PD fell into hard times and many of these well beloved places were abandoned. The grand Ming Court Hotel is an empty shell that looked as if it had been blasted by German airplanes in the world war. Si Rusa is also no more and that unnamed restaurant has only pillars blackened by the smoke of Mordor standing. In other words, the nostalgia of Port Dickson was gone. Nowadays, we still have some decent hotels there, and the Pantai road can be jammed up as Port Dickson strives to recover back yesteryears’ glory. I hope it does. Anyway, enough of these ramblings. Back to golf. 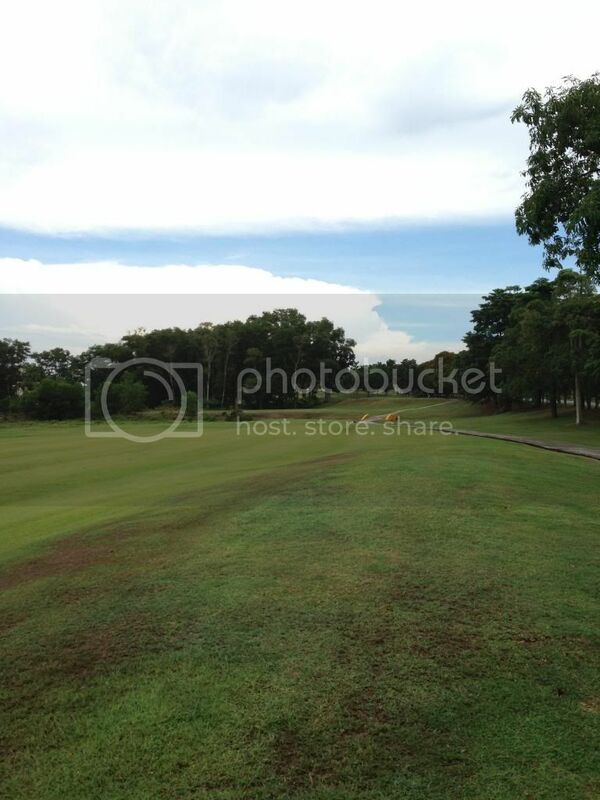 Port Dickson, despite it being just around an hour plus away from KL, for some reason, doesn’t have many golf courses. 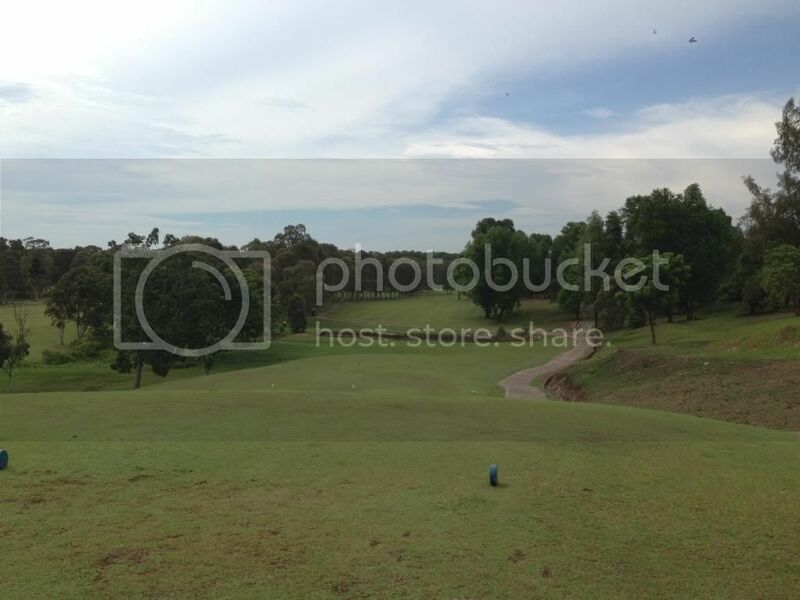 I am aware of 3: Thistle’s 9 hole course, the Port Dickson Golf Course and Royal Palm Springs. I’ve played in Royal Palm Springs before, and my recollection was that it was possibly as good as having a garden hoe stuck up your nose and being electrocuted in you’re a*se continuously for 48 hours. 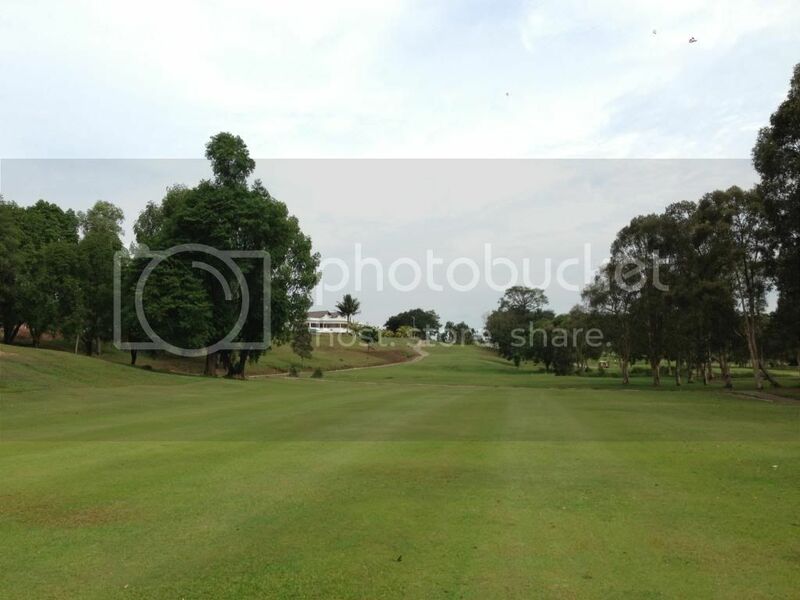 Plus the last time I went there, they discriminated against me saying that a bunch of Koreans had booked out the entire golf course and no Malaysians allowed…even at that time, NO ONE was playing. 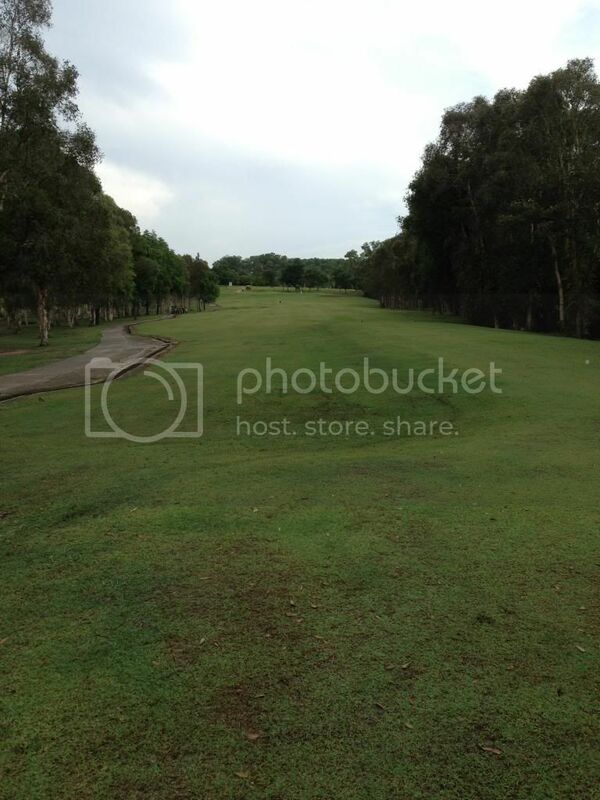 So since then, I can’t wait to get back there and rate the course lower than TUDM. 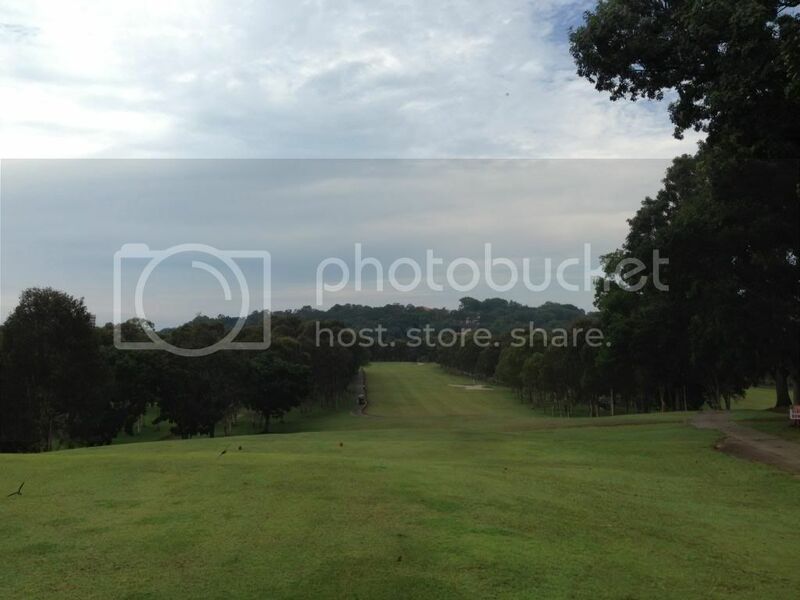 For this trip to PD, I decided to go for Port Dickson Golf Course. I’ve heard that it’s in a horrible condition, especially after rain, and I especially took care that I went right after a downpour, to see how bad it really was. 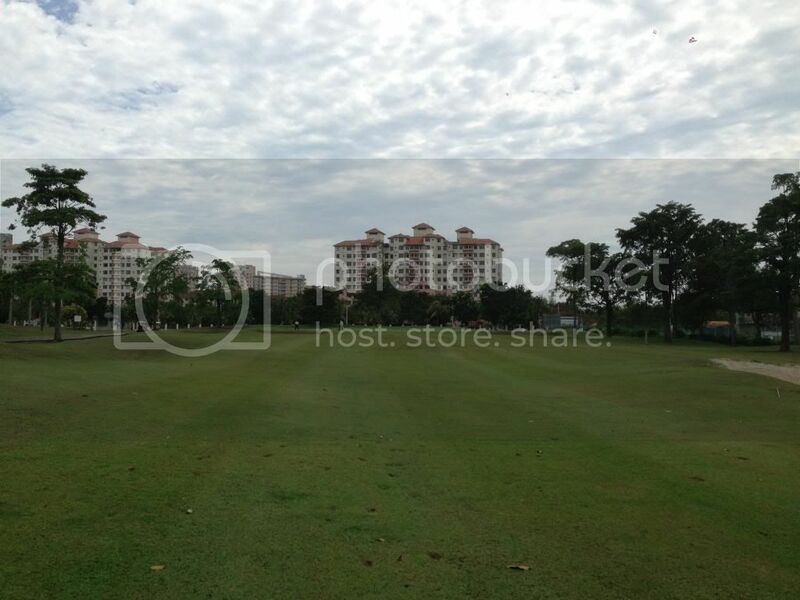 Unlike the Royal Palm Springs or even Thistle which requires a drive deeper into Port Dickson, the PDGC is located literally next to the exit of Seremban-PD highway. To get there it is the easiest thing to do. Go and hit the Seremban-PD highway, and speed all the way to the end. 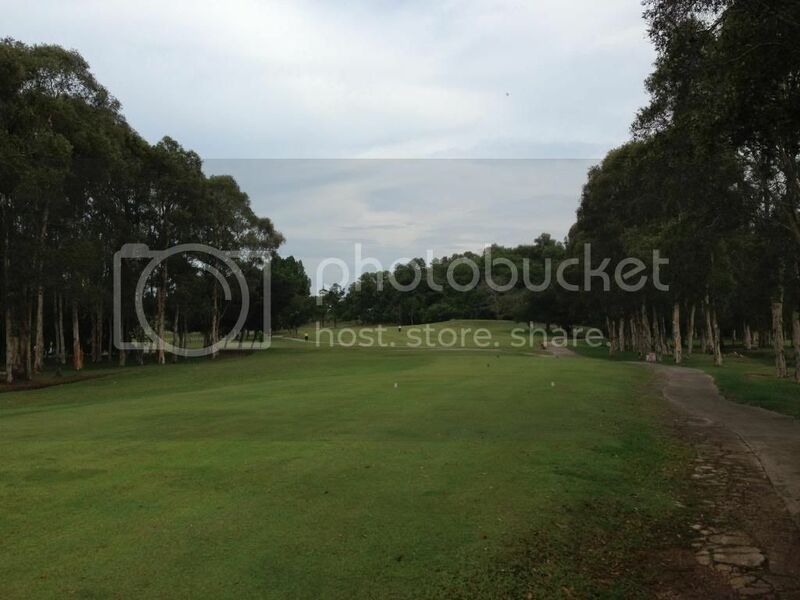 At the end of the highway, turn right, travel like 200 meters and then PDGC is on your right. It’s so ridiculously easy that you don’t even need to think about it. I wasn’t too chuffed with the price. I paid RM87 to play on a weekday. OK, to clarify I was playing alone so I had to have my own buggy. The pricing is a little weird. If I preferred to walk, it was only RM28, but had to do it after four. So I had to get my buggy, which brought it up to RM60, and then I had to pay an additional 1 and a half buggy to jack it up to 87. I didn’t quite understand it, since obviously the registering lady’s mathematics was way better than mine, she just calmly said, RM87 please. I was like, Jeez, just put me out in the course already, so I didn’t really sit there to argue. But, no, on hindsight, I should have asked what the heck was I paying for, at RM87, it was only RM3 less than Impiana using a voucher! Whaaat….although I did feel ripped off by the time I reached the 15th hole, I was way past the point of dispute, and I was rushing the game anyway, so , what the heck. I have to admit, I thought this would challenge TUDM as the crappiest piece of trash course in all of Malaysia. This is solely based on unfounded rumours that the PDGC has been taken over by cannibalistic beavers that roam the courses at twilight. So I was a little surprised that even after a huge downpour in the morning, I stepped onto a …. 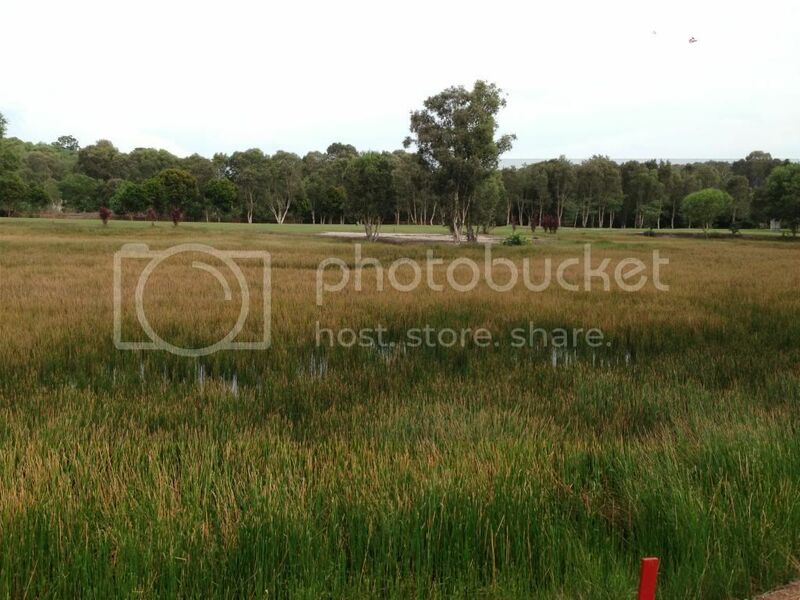 Golf course on hole 1. Aside from the semi-retarded pricing, this was quite unexpected, and once again proved to me that I should never put too much faith on rumours consisting of cannibalistic beavers. The first hole was an inviting, flat fairway, which I promptly nailed it, and duffed my 9 iron approach again…and we’re off. Aside from the registration and pricing mix up, the maintenance of the course was found wanting…the buggy tracks were horribly patched up. That, compounded with a buggy that does not have auto-brakes, nearly conspired to fling me out a few times from the rattling buggy. I know, I shouldn’t be driving so fast…but a buggy without limits? Wow, how often does that occur? There was also no Marshal to be found, when I found myself growing perceptibly older behind 3 elderly gentlemen who took so long with their game, I was ready to load a pistol into my mouth, if I could find one in the bottom of Port Dickson, since this is where our Police Force usually drop their guns. So anyways, behind these three elderly molasses, I had no recourse to speed up and they refused to let me through, so I just waited and waited and waited…and weirdly started playing better. The fairways were surprisingly sturdy, even after the rain and so I originally put in 3/5. However, as I made the turn to the back nine, there were simply too many bald spots to overlook and although much better than I originally anticipated, the cow-grass fairway was well maintained, and even had tufts of Bermuda around. At least that’s what I think. I’m not a grass expert or a cow. In anycase, the front nine maintenance was fine, but the back nine just had too much hacked up areas to pass for a good fairway. 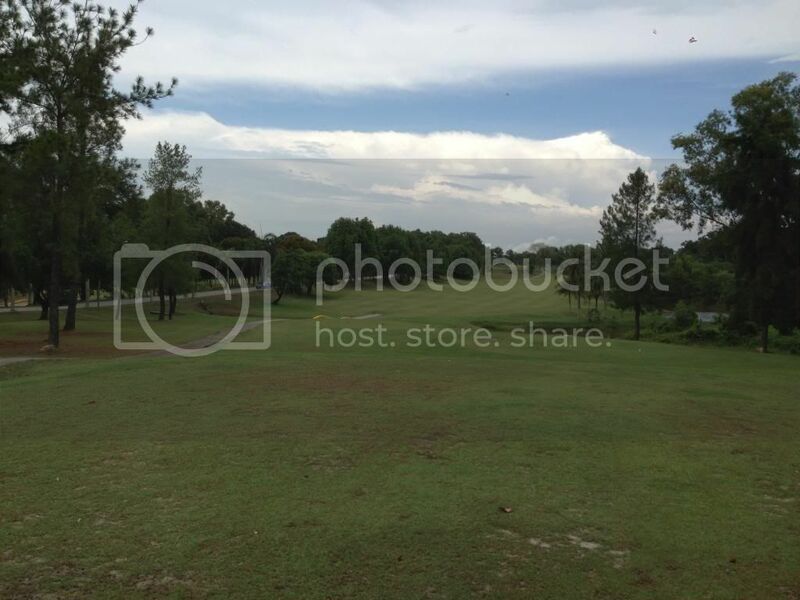 Possibly due to the rain, and the fact that the back nine probably is easier for the walking customers to play on (it plays relatively flatter than the front), probably these were the reasons why the wear and tear on the back nine seems a little more pronounced. If anything else, the greens were another surprise from PDGC. 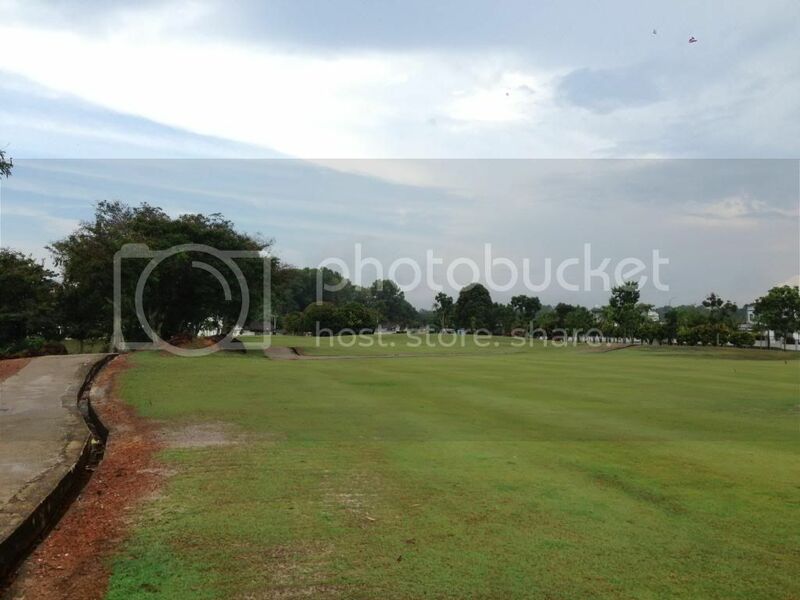 When I was driving through the road leading to the clubhouse (or what passed for one), I was lamenting to myself the uneven patches of grass colour on the greens. It’s never a wise thing to judge a book by its cover, because the first green that I putted on, I putted so hard (thinking that the green was awful slow), that my ball just keep rolling and rolling for a 3 putt start. 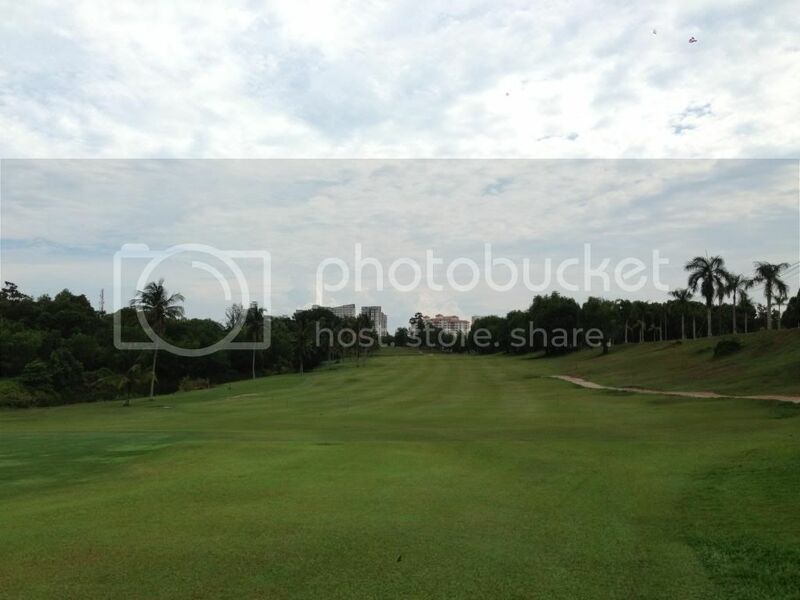 The greens, strangely, plays a lot better than other courses like Kinrara, or Monterez or, probably it’s closest local cousin: Kundang Lakes. 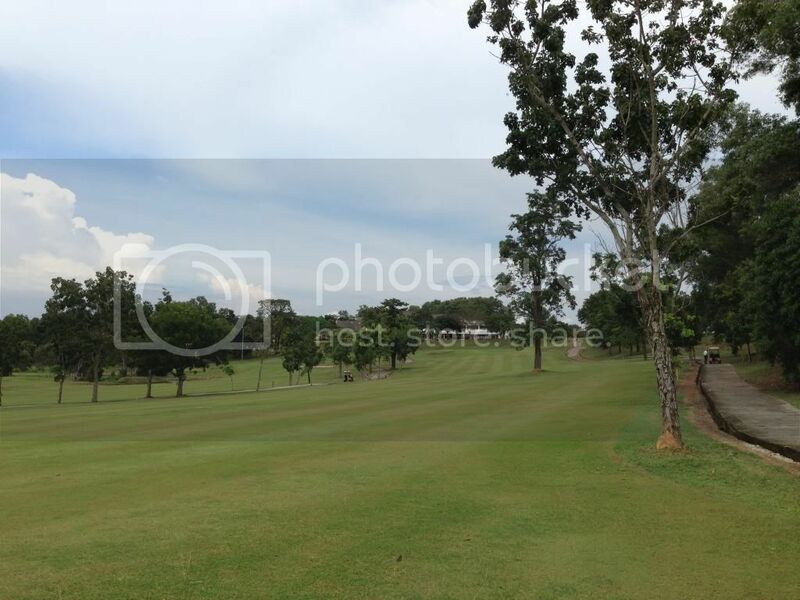 Well maintained in most holes, they were also consistent throughout, and the final hole 18 green was reminiscent of the torturous greens of Rahman 9th hole/18th hole or take-your-pick greens in KRTU. It was steep, and invited a 3 putt, which I promptly accepted for my final bogey of the day. Overall, well done, PDGC! The bunkers were generally well kept and hardly any casual water flooding them. You must take into account the morning downpour, which makes the drainage more impressive. I didn’t experience those soggy rough like Perangsang, where you step onto the rough and suddenly, your shoes look like they were dipped in Milo or Teh Tarik. 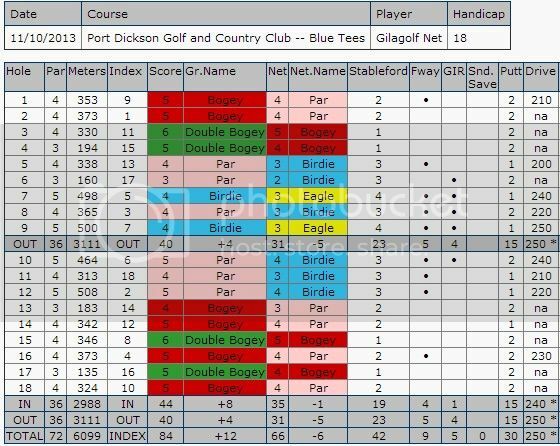 In fact, possibly the most surprising thing (out of many surprises) that PDGC served up was how it played so respectably DESPITE the morning rain. 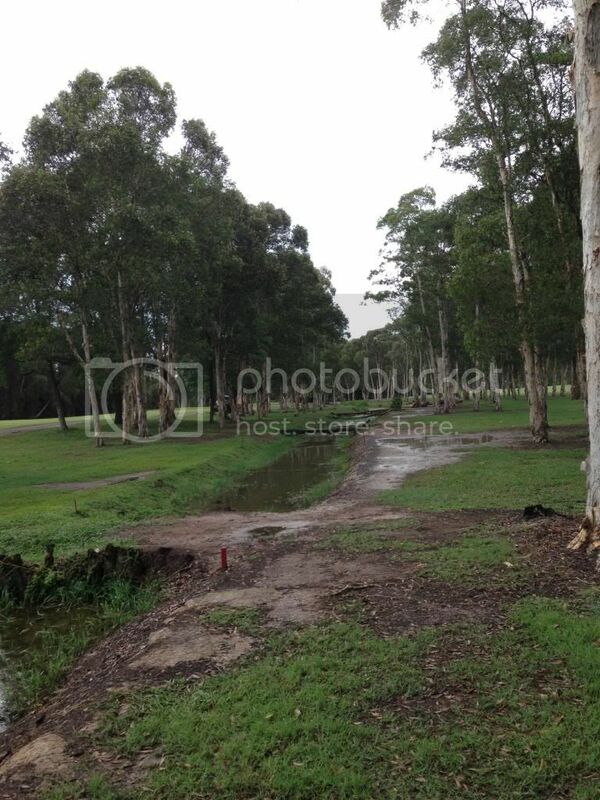 It wasn’t a drizzle, it was a bucket load of water that God poured down into the course and yet, it was sustainable. It wasn’t so much of the course, than the limitations that it had to put up with. The aesthetics were ho-hum at best. Let’s see. If given an analogy, it’s like a girl who is neither pretty nor god-awful ugly. But growing up, she unfortunately couldn’t afford braces or a good dermatologist, so she ends up at 21 with crooked teeth and pock marks from pimples. She tries to hide it by not smiling so much, tilting her hair over her other part of her face, and goes out with heavy makeup. In some areas, she succeeds, in some lights, it almost makes her pretty…but yet, she’s not. 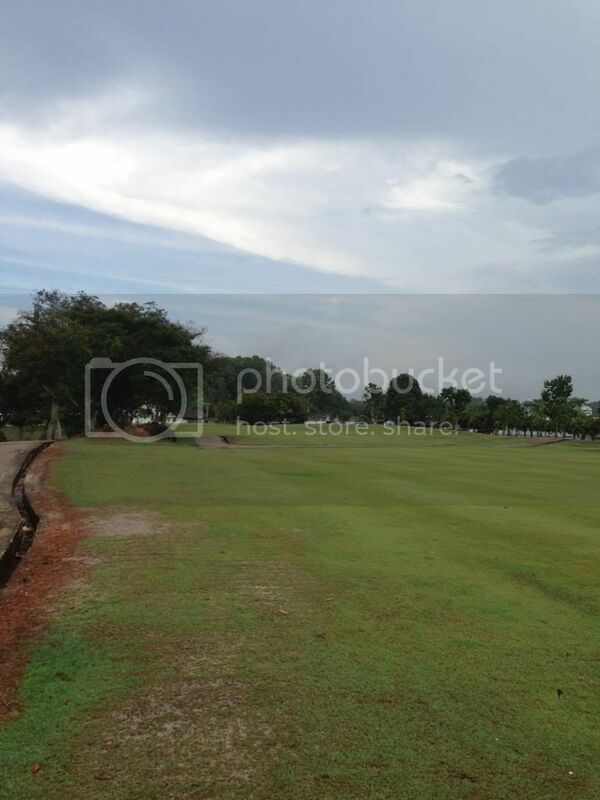 Port Dickson Golf and Country is like that. This is the girl who will never be beautiful, yet, she tries to be. She attempts at flirtation in an awkward manner, her gait is not correct, her speech is unrefined. She pretends to be calm and collected, yet she fiddles and paces like a bird in a cage. She is plain, but strives to be more. You can see some parts of the course has a good idea…like the par 5 9th, with a good drive to get you over the hill, that opens up to a good view of the green. 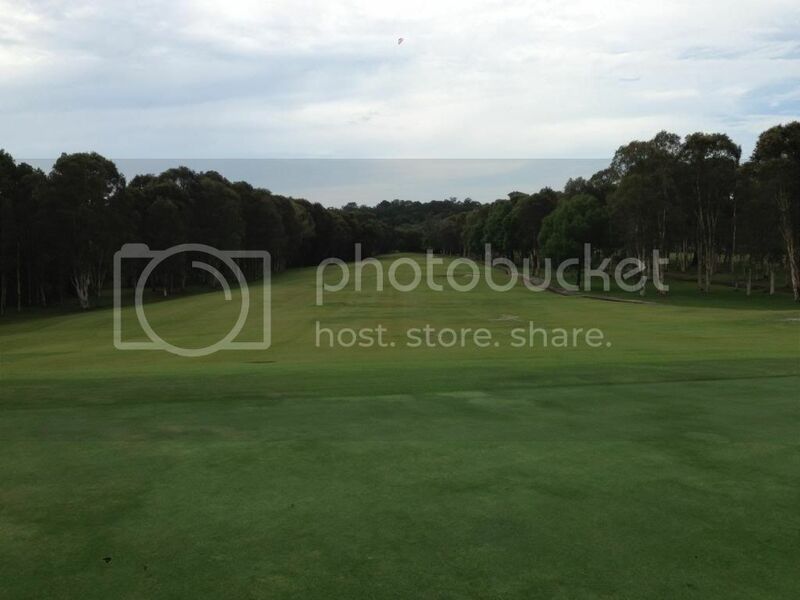 Or the final hole 18th, with a great bail out on the left, and a sloping green with a bunker to the front. The pretty hole 16, with flower beds and stone bridge, crossing through an upside down L-shaped fairway. Of the 17th semi-island green. 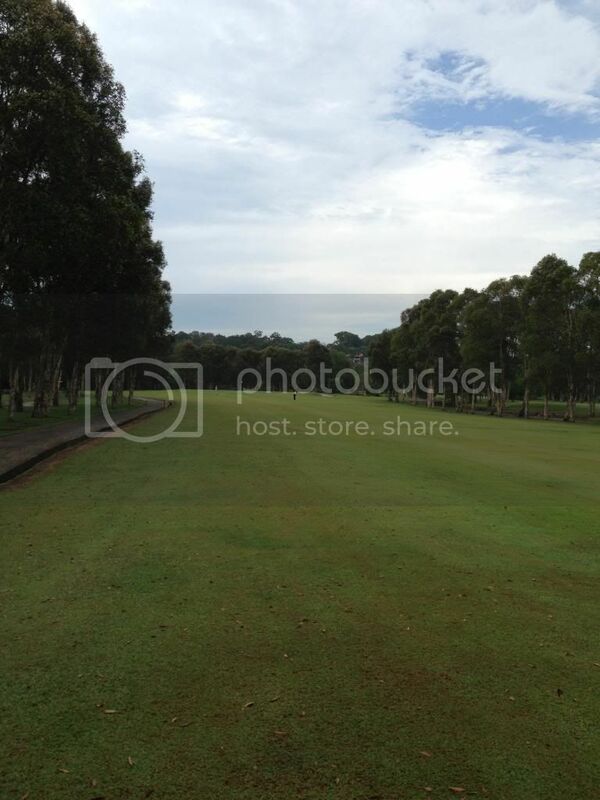 There were attempts at elevation, such as on the 2nd, on the 8th, with a high tee off area looking down. But yet, aesthetically, it misses the mark. The rivers are muddy, the cart path in dire need of repair, the fairways balding, the lakes still and uninviting, the swamp eating into the par 5 12th, which played like a horseshoe with a double dogleg. It tries, but it has little to work with. 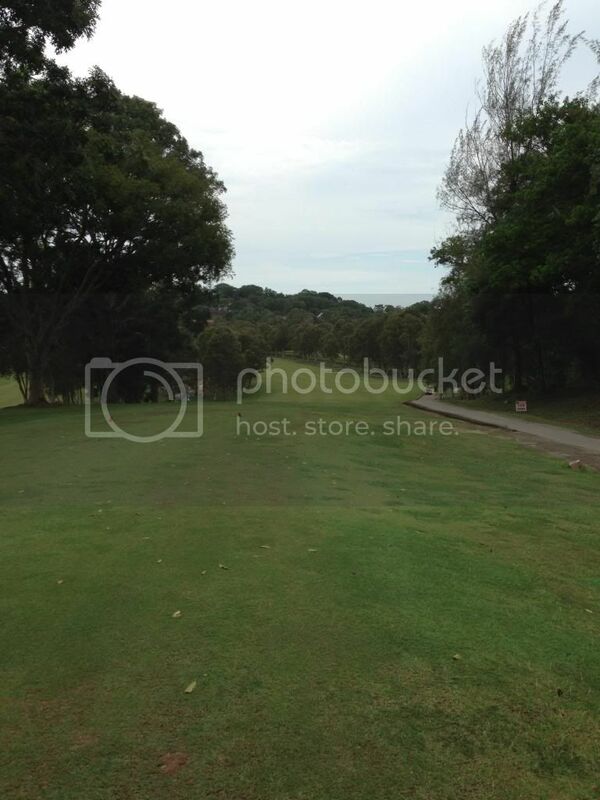 It is PD golf club, but it makes no attempt to include the ocean and beach in its design. Instead, it opts for a hilly front nine, and a munincipal flat back nine… it is functional, but plain. It’s hard not have fun when I got into a run midway through the front, where I played the next 8 holes at 2 under with 6 pars and 2 birdies. I never played such a length of holes like that before. It was like I suddenly turned into Tiger, starting with a long drive on the 5th, then closely missing my 4 foot birdie on the 6th after stiffing in a five iron. 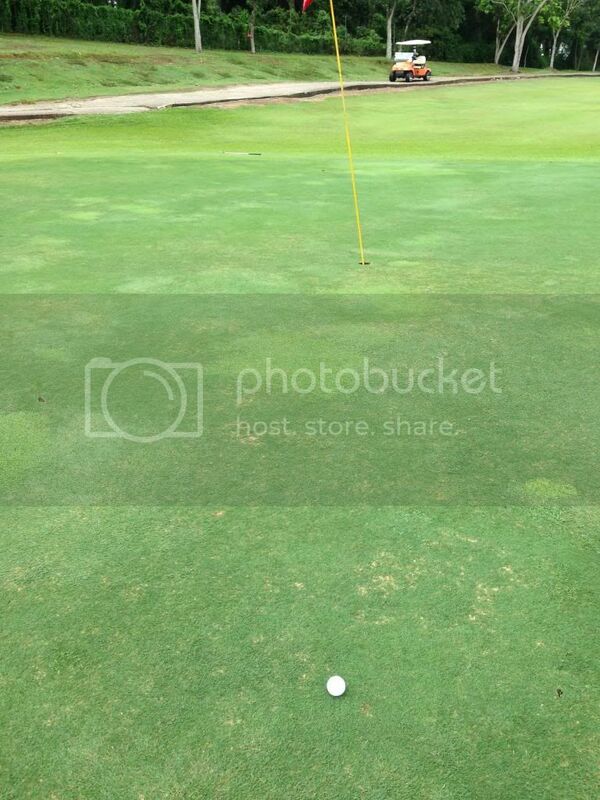 I got my birdie in the next hole, when my sand wedge 3rd shot got me to 1 foot of the hole. I got my next birdie on the 9th, when my lob wedge stiffed 4 feet and my put dropped for my first multiple birdie game of….I don’t know probably 3 years? My best par was also my last, where I skulled my nine iron 3rd shot to a bunker of the par 5, and I putted out of that bunker to 7 feet and saved a sandy par. Then all of a sudden, it was gone. It was as if some sort of magic left, and for the last six holes I played like how I always played: like a nut. Missing easy putts, and duck hooking my drive on 15th and 18th, and shanking my stupid 8 iron on 17th. AUGH! I don’t know what in blardy name is wrong with me, its like after being possessed by Tiger’s spirit, I then proceeded to hack around like a baboon having an apple stuffed up its red rear-end. I did have a lot of fun playing with some of the club’s members in the back nine. Very friendly folks, the people in PDGC, we chatted a bit and they gave me some local tips on yardage and clubs to use. It would prove invaluable in a few holes where I would have over or underclubbed. 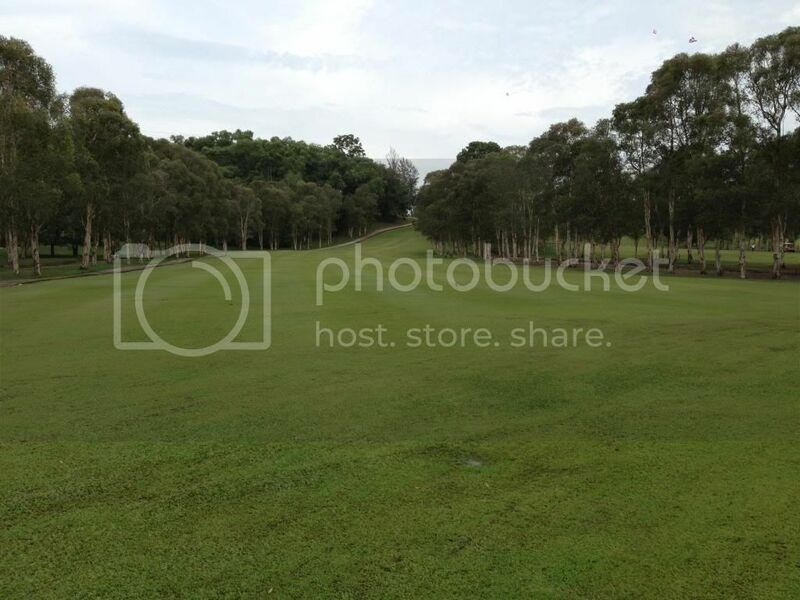 Feature wise, the course is definitely narrow than some out there, so if crooked drives are your thing, you might struggle a little in this course. 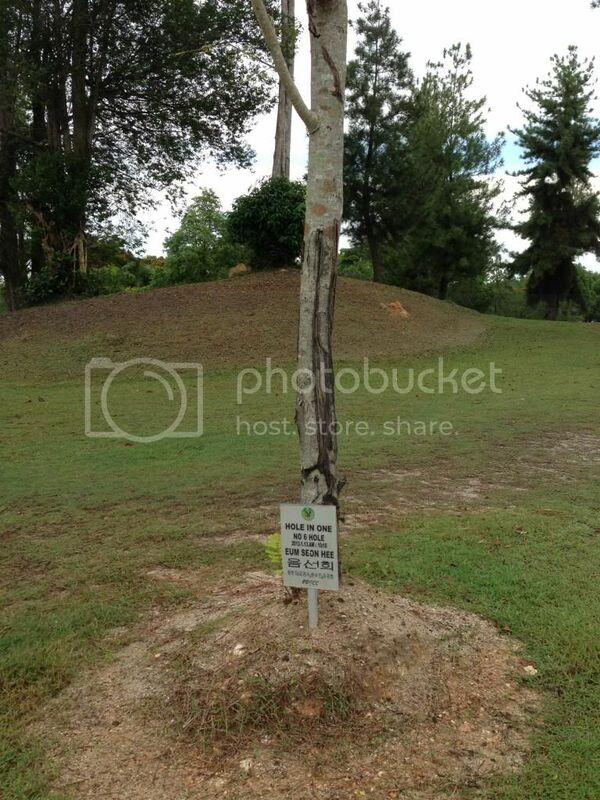 Another feature is that if you do get a hole in one in the par 3s, there will be a tree planted in your honor. No kidding! Ask Mr Eum Seon Hee! Despite strong rumours that this club is worse than Royal Palm Springs, I am glad to say that it’s not. 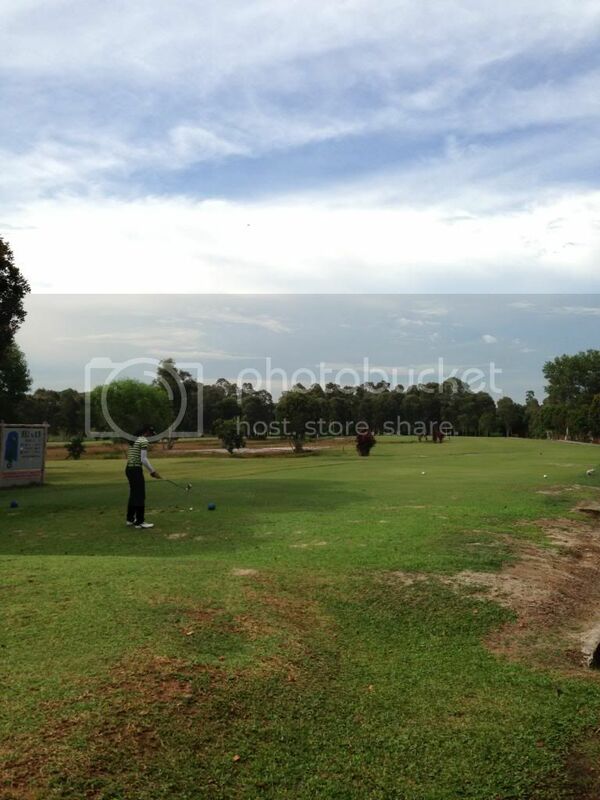 PDGC is actually a very functional club, and owing to its extreme ease of access, and right next to the exit (or entrance) of the Seremban-PD highway, it can either by a quick round before heading back to KL or a quick round when you come into PD, without having to go through the trunk roads to the other courses. It’s probably the most surprising little club of all, after hearing how bad it was. The downpour had me thinking the worse, but instead it was on the contrary. Don’t get me wrong, it’s still by no means a top class golf club, but given it’s little stature in what was considered a backwater town (which now is bustling again), it does very well for itself, and definitely worth a try. If they can sort out the pricing at around RM60 for walkin, it would be even better. The good: Accessibility is an ease; the course held well despite heavy rain in the morning; greens are excellent in terms of bang for buck; the aesthetics, while plain does offer some interesting challenges, like long par 3s and extreme dog leg on one of the par 5s; members are friendly; holes are also designed some for an accurate 3 wood, as it plays narrow for the most part. The bad: The back nine fairways are fairly hacked up; pricing is also questionable not so much of their integrity than their inability to count; aesthetics is like eating cornflakes in the morning – no fuss, just function. The skinny: 21 of 40 divots (52.5%). PD should be teeming with golf courses if it wants to rebrand itself as a resort town or a getaway, but instead gives us 2 and a half. If there’s a throw between Palm Springs and PDGC, take the latter. It’s worth a try, after the improvements done to the course, and possibly the only decent golf course stretching across PD and Seremban. It’s a go!